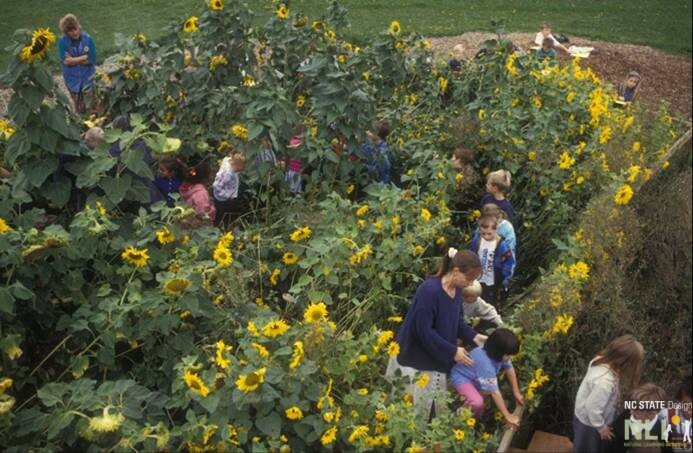 Sunflower houses are one of the many easy and cost effective ways to improve an outdoor learning environment. Sunflowers are easy to grow, they mainly just need water and sun! It’s always best to prepare the planting beds first, mixing in some compost or good soil if existing soil is too heavy. Try different sunflower varieties to see how they grow and compare them with the kids. Once blooming, pick and use for flower arrangements, or let the flowers dry out and hang down on the stalks. Birds will enjoy the food source from the seeds.